One of the most familiar sayings in the world is the often quoted adage that the “pen is mightier than the sword.” Although it is an old axiom, there is great truth to the statement – and there is perchance no better example of that reality to international peace than the late John Wallach. A 1965 graduate of Middlebury College in Vermont, Wallach was the son of German immigrant parents that escaped from the Nazi regime of Adolf Hitler in 1941 and found their way to the hopeful shores of the United States. Attracted to the world of the media, publication, and writing, Wallach earned a master’s degree in social research and quickly found his way to Hearst Newspapers, where he served as Foreign Editor from 1968 to 1994 – writing syndicated articles through the New York Times News Service. During the 1970s and 1980s, he was a frequent guest to television news programs on networks such as CNN, NBC (Meet the Press), and PBS (Washington Week in Review) – speaking out on matters of foreign policy, international peace, and worldwide cooperation. His rise to prominence as a newsman included an appointment as the BBC’s first Visiting Foreign Affairs Correspondent – and for his role in breaking the Iran-Contra story he was the winner of the Edwin Hood Award, the National Press Club’s highest honor given to a writer. Wallach’s wri ting career served as a springboard into the world of peacebuilding and international goodwill, even receiving the 1991 Medal of Friendship from President Mikhail Gorbachev for his role in promoting US-Soviet relations. For his coverage of the 1978 Camp David Egyptian-Israeli Peace Accords, President Jimmy Carter presented him with the Congressional Correspondents Award – but his image as a peacemaker perhaps reached its highest level of recognition during his 1997-1998 role as a Senior Fellow of the United States Institute of Peace, which published his book The Enemy Has A Face: The Seeds of Peace Experience. Writing in the hope of establishing lasting reconciliation and peace between Arabs and Israelis, Wallach utilized the book as a means of outlining the Seeds of Peace Program – a visionary idea of his for planting the hope of peaceful coexistence in the Mideast through “open dialogue and reconciliation between Arab and Israeli youth.” Experts in the promotion of diplomacy and peace, such as former Secretary of State Henry Kissinger, have described the program as a dynamic idea for true and everlasting peace in that area of the world. 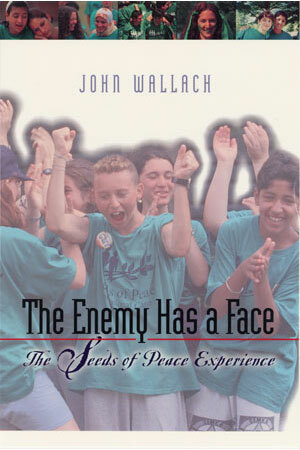 Established in 1993 through the efforts of Wallach, Seeds of Peace is a very unique camp experience that allows young people and educators living in areas of ongoing violent conflict the opportunity to meet their “historic enemy” face-to-face, with the specific purpose of advancing the possibility of peace. Meeting at an international camp facility in Maine, over 5,000 young people (ages 14-16) and their educators from 27 countries have participated in the experience – striving to “prove that solutions exist, peace is possible, and there is reason to have hope for a better future.” Very strictly dedicated to remaining apolitical in order to allow participants to express their beliefs without fear, the activities sponsored by Seeds of Peace are funded almost totally by donations, although it has also provided programs funded by the U. S. Agency for International Development. Based in New York City, there are also offices located in Tel Aviv, Ramallah , Amman, Lahore, Mumbai and Kabul – with the overall emphasis of achieving 350 new Seeds graduates during the summer camp, as well as the organization of regional programs for those who have returned home to promote the ideals they have gained from the experience. Now more than 20 years old, graduates of the program derive from Egypt, the Palestinian territories, Israel, Jordan, Morocco, Qatar, Tunisia, Afghanistan, Yemen, India, Pakistan, Maine, Cyprus and the Balkans. 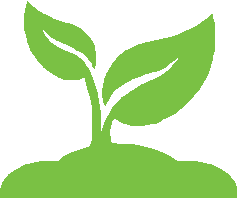 The Seeds of Peace International Camp experience incorporates an abundance of deliberately intensive activities focused on the confrontation of prejudice, problem solving and conflict resolution. Although the program includes traditional American events such as singing around bonfires, Color Wars, and swimming, the major emphasis of the curriculum is dedicated to dialogue “where Israeli and Palestinian campers heatedly discuss their identities, homelands, politics, and pain.” The follow-up program that reaches out to graduates of the original camp experience includes education in negotiation and mediation skills, exercises in active listening, and role plays. New abilities that are acquired are typically included as part of a group negotiation simulation, or by some other similar means that allows for practical application of the learned material. 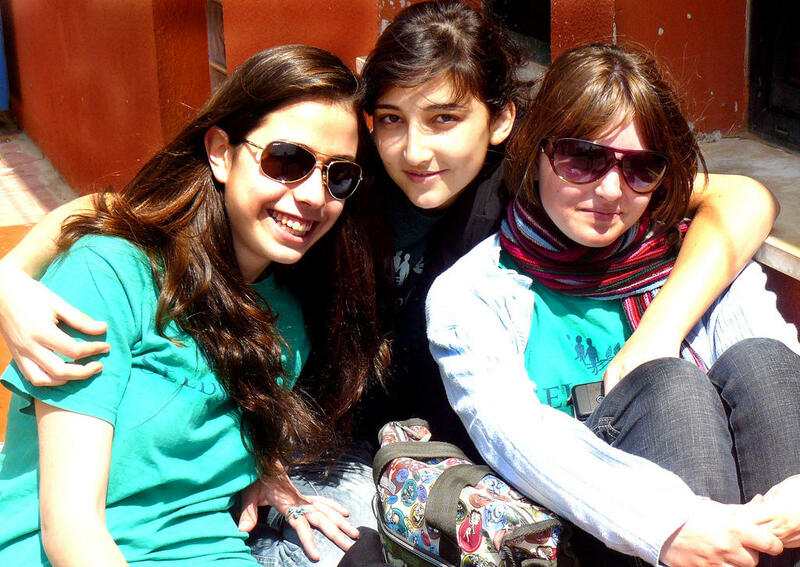 As one writer has noted, “initial fear and mistrust of the ‘enemy’ gives way to friendship and understanding, as the campers get beyond the stereotypes and grow to know one another as friends.” In a nutshell, the Seeds of Peace philosophy is committed to establishing common ground as part of the negotiation process, by raising the level of tolerance between cultures that have been in conflict. So how important is cultural and religious tolerance to the promotion of peace and the lessening of terrorism in the world? As mentioned elsewhere on this website when discussing the Museum of Tolerance, there is no other issue more crucial to the realization of peace! As noted by the United Nations Educational, Scientific and Cultural Organization (UNESCO), tolerance is the “respect and appreciation of the rich variety of our world’s cultures, our forms of expression and ways of being human.” Without tolerance, international relationships can disintegrate into an open disregard for justice, outright violence, blatant discrimination, and social marginalization. In a similar fashion to Seeds of Peace, UNESCO has praised and sponsored educational programs that promote tolerance – as a means of ending the vicious cycle of revenge that can sometimes appear on the world stage in the form of transnational violence. As stated by the present Chairman of the Foundation for a Culture of Peace, Frederico Mayor Zaragoza, “let us educate for tolerance in our schools and communities, in our homes and workplaces and, most of all, in our hearts and minds.” All the more reason for the establishment of a monument such as the one sponsored by this web site. Please join us and sign the petition by clicking on the link below. This entry was posted in Posts for the Cause and tagged guns and violence, human-rights, Israel, Jimmy Carter, John Wallach, memorials, Mikhail Gorbachev, monuments to victims of terrorism, Museum of Tolerance, palestinians, religious tolerance, Seeds of Peace, world brotherhood. Bookmark the permalink.